Two Republican members of Congress said they plan to introduce legislation next week that would grant lawful permanent resident status in the United States to critically ill baby Charlie Gard and his parents to allow the child to leave the U.K. and receive experimental treatment in America. Should this little boy to be ordered to die — because a third party, overriding the wishes of his parents, believes it can conclusively determine that immediate death is what is best for him? Every human life has dignity, including the lives of those who cannot speak up for themselves. When government is able to overrule a parent or guardian in determining a patient’s best interest, every vulnerable patient is put at risk. We offer Connie Yates and Chris Gard our heartfelt support as they seek to care for their son. Alternately, the New York hospital said it could ship an experimental drug to London’s Great Ormond Street Hospital, where Charlie is a patient, along with instructions for its administration, as long as the FDA approves. Charlie is 11 months old and suffers from infantile-onset encephalomyopathic mitochondrial DNA depletion syndrome – a very rare and terminal genetic disorder. Specialists at Great Ormond Street Hospital said they had exhausted all treatment options and told Charlie’s parents, Connie Yates and Chris Gard, their son would be removed from life support. Charlie’s parents, however, raised about $1.7 million privately to take their son to the United States for experimental treatment. In the system defined by principles of socialized, government-run health care, the hospital and both the U.K. domestic courts and the European Court of Human Rights have ultimate control over Charlie’s healthcare decisions. 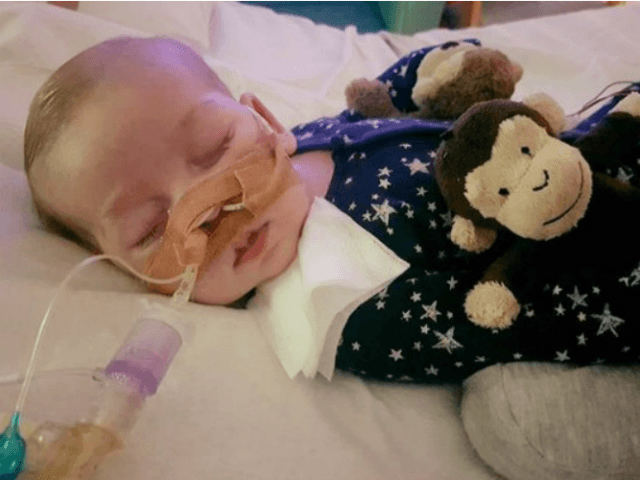 Consequently, the parents’ pleas to remove Charlie from the hospital, and even their request to allow the baby to return home with them for his final hours, were all rejected.